Why is it that every General Assembly in Dover, as of late, seems to get bogged down with everything but issues concerning the economy and jobs. And considering that you can’t talk to an elected official without hearing about how important both are, I find it very interesting the types of legislation that keeps coming out. Last General Assembly we got everything from gun bills to bathroom bills and gay marriage. So what are a couple of the distractions this time around? Well let’s see, we have heard about changing the helmet law in Delaware. No new jobs there, and can’t think of any boost to the economy, except in fine revenue. We have heard about the need to have the face of a famous woman added to money, again! First of all the state has no input in this action, and again, where is the benefit to jobs or the economy. Take heart though, in the very near future April 18th may be “National Auctioneer’s Day” in Delaware, thank goodness, I have been sleepless over that one. Then of course April will also be “Child Abuse Prevention” month as well as “Sexual Assault Awareness” month. Both very important issues, but simply proclaiming it this or that month does nothing to solve the underlying problems, nor does it? That’s right, create jobs or help the economy. April seems to be a busy month for proclamations. April 2nd 2015 was recognized as “AKA Day at the Capital”. Now I have to admit that until I actually opened the bill to see, I thought that this was for “American Kennel Association” and that it was simply a fancy way to say, bring your dog to work day for Legislators. But in reality it is to recognize “Alpha Kappa Alpha Sorority Incorporated” . What a great way to get college girls to come to the Capital. Just kidding, more likely this was Sen. Henry’s sorority as she was the lone sponsor. Then there is April 25th which will forever be known as “Engineering and Technology Education Day”, which at least is related to education, and would help create jobs, that is if they were actually doing something other than naming a day. You know like supporting Sussex Tech in solving that issue, so that more students can go there and actually get an engineering and technology education. Being a conservative Republican I would like to blame all of this on Democrats and the liberal left, unfortunately we get a lot of this from the Republicans and the hard right as well. Just look at the announcement from Sen. Dave Lawson of legislation he intends to put forth. This comes directly from a Republican Caucus press release, the bill is “known as American Laws for American Courts, protects our other fundamental constitutional rights against the incursion of foreign laws and foreign legal doctrines in our state court system. Those rights include due process, equal protection, freedom of religion, speech, and press, the right to keep and bear arms and all rights of privacy and marriage. Okay, so they go to great lengths to state that they are “NOT” singling out any particular foreign law or doctrine. However, it is clear that this is intended to single out sharia law. Anyone who has heard Sen. Lawson speak, and I have, gets the impression of his being of the hard right fringe of the GOP. It is not hard to see that with this legislation he would be pandering to the so-called “patriots”. This is the biggest waste of time I have seen in a long time. This in my view is intended to allow Sen. Lawson to bloviate on the floor of the Senate. All things, already codified into law by those same documents. This legislation, if brought forth is silly, redundant and nothing but inflammatory for the sake of being inflammatory. If Sen. Lawson truly believes that the courts in Delaware would ignore our founding documents, and laws already on the books, what makes him believe that they would not simply ignore a law of this type? Delaware is facing a deficit of millions of dollars, we are hearing rumbles of gas tax again, Delaware is one of the lowest when it comes to wages. Roads are in disrepair, at every turn people oppose new businesses that would create jobs and spur the economy. And what do we get? AKA, and National Auctioneer’s Day and bills to put into place laws that already exist. Come on Delaware General Assembly, just focus on what’s important, and when we are fat and lazy again, then you can worry about recognizing April as “Rocky Road Ice Cream Month”. 7 Comments on "Where Is The Focus?" In addition to the garbage legislation that you posted being sponsored by Lawson and Wilson, you have other useless legislation such as HR 7 ( Sponsored by Rep. Wilson,proclaiming the week of March 23-27, 2015, as National Work Zone Awareness Week in Delaware), as well as Sen Simpson’s helmet law bill and his support for the Death Penalty repeal. The only Republican that is actually doing anything is Sen Pettyjohn. His SB 14 would have kept the Punkin Chunkin in our state, which would have created jobs but would have also created a much needed financial boost to our economy. Don’t get too discouraged Frank, as I’m sure a’ National Gas/ Oil Fuel Delivery And Service Week’ will be proposed as soon as they come back from break. The point was to show that the lack of focus is nonpartisan. And maybe national taxi driver week will be next. If you go only by wages, we fall to 13th, still well above average. 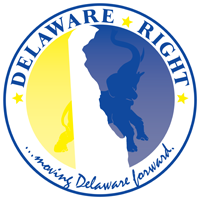 So your complaint about Delaware’s low wages is not supported by the facts. Well Geezer, wages may be good in NCC, but Kent and Sussex, not so much. When NCC gets 90% of the State’s Strategic Fund for economic development, should we expect different results? Median wage is much more reflective of reality show the point where half the people make more and half make less.